Venture back with me to that day in college soon after an amateur draft– the day my wife and I were having lunch with a professional scout. After some small talk, the scout made his presentation and offered me a pro contract. You might think that was a good lunch, but it quickly turned south: “Jim, you can’t hit, you can’t catch, everything you throw goes into centerfield, and you’ll never make it to the majors! BUT, I’ll give you a chance for $6K”. Disillusionment began to set in with every “you can’t” phrase spoken! I’m sure it’s hard for you to imagine but before the day of baseball agents, professional scouts were the ones who negotiated contracts with potential pro-athletes. Scouts typically used the method of over-criticizing the athlete’s ability in order to get him to sign a low-cost contract. Unaware of this tactic in the early 70’s, but thoroughly humiliated, I ended the lunch with the scout rather abruptly. I left angry and chose to channel that frustration on the baseball field that summer – and by the end of August, the league’s MVP was mine. In your face, scout! Maturing in grit is my life’s story. It’s showing up and keeping after it, day in and day out. It’s learning to fight through the challenges and choosing to keep plodding forward toward a goal. Angela Duckworth, in her book GRIT, The Power of Passion and Perseverance, writes: “It’s the combination of passion and perseverance that made high achievers special. In a word, they had grit”. I found this to be true in my own life. I think observers would agree, I was not the most talented of those I competed against in the MLB throughout the 70’s and 80’s. The 16 years I spent in the majors did not come without its challenges- many moments felt close to an all-out collapse. But an internal voice would consistently tell me, “just keep showing up”! Grit is something that can be learned. Youth sports provides an excellent training ground for children, a “greenhouse” so to speak, to gain the valuable skill of channeling passion and learning to persevere. Grit has the ability to shape your child’s character into tomorrow’s leader. When your child is not getting the playing time you think he deserves, resist the urge to step in. Instead, help your child focus on what he does have control over – his attitude, his work ethic, and his commitment to the team. Children are naturally consumed with the here and now, this season, but as the parent, you must resist the urge to think short-term. The only way for your child to become more confident in his own abilities is by learning how to work through the struggle. You can be there for your child as an encourager, but you are unable to work out the struggle for him. Step back a bit as a parent, trusting that an inner confidence is gained when he can say, “I can do that again”. Developing Grit is key to long-term success in life, in work, and in relationships. 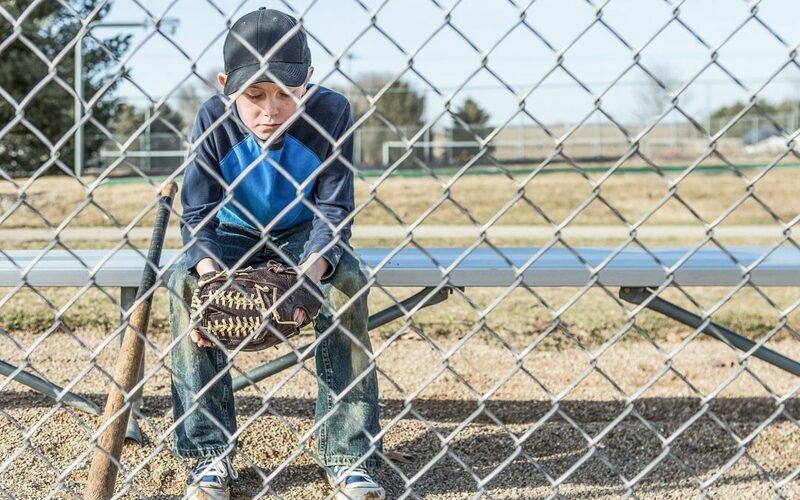 Youth Sports provides a natural training ground for your child to develop grit – if you will resist the urge to step-in, to be anxious, or think short-term. You can help your child achieve long-term success in life by choosing to step back just a bit today! This blog speaks to the struggle my son and I are having with Jr. High sports. He works hard, is one of the tallest players, one of the fastest players, has a good attitude, works hard but just doesn’t seem to be able to earn much playing time. We talk about how much more appreciative he will be when it does happen and that no matter what he has to keep working hard, but that is hard for a 14 year old to accept, I just hope that it pays off in the long run. Thank you for this encouraging blog. Keep up the good work.